Granny flats are coming out of the shadows. Taking advantage of a state law that went into effect Jan. 1, dozens of homeowners have petitioned the city of Los Angeles to approve accessory dwelling units, also known as granny flats, on their properties. The number of applications made this year may have already eclipsed the average annual application rate over the last decade, and the pace is expected to increase as more people become aware of the relaxed regulations. Angelenos have for years converted garages and other ancillary buildings on their properties into rental units, often without pulling permits. Now, with the benefit of a state law that overrides numerous local regulations regarding factors such as parking, passageways, and setbacks, they are able to bring their plans out into the open. “Rents are high. Lots of people will take advantage of this,” said one city official who asked to remain anonymous. Venice architect Isabelle Duvivier said she has taken on five clients who want to build accessory dwelling units on their properties that would not have complied with city law two months ago. For one, their lot sizes were too small. The city used to require a minimum lot size of 7,500 square feet, but California law sets no minimum. Her clients plan to rent out the units, which will include a kitchen and bathroom. She said her clients are in a hurry to take advantage of the new rules before the city can make things more difficult for homeowners to build granny flats. The Los Angeles Department of Building and Safety has received 55 granny flat applications since Jan. 1 and issued four permits to start construction, according to agency data. From 2003 to 2016, the agency issued just 680 permits – 52 a year, on average. Most people are unlikely to apply unless they are fairly certain they will qualify considering how expensive it is to draft plans and submit an application, said the L.A. city official. Department officials expect applications to pour in at a faster rate as more people discover their property is eligible for an additional unit. The Los Angeles Planning Commission voted in December to approve an updated ordinance that is compliant with state law but also introduces restrictions on unit size and the ability to build on hillside areas. The City Council could vote on the ordinance as early as next month, according to a commission official who asked to remain anonymous. Under the California law, homeowners who meet all the requirements must be allowed to build the requested unit and cities can take no longer than 120 days to issue a permit. The Los Angeles Department of Building and Safety typically takes between three to five weeks to review an application, said Jeff Napier, the department’s public information officer. Application costs vary depending on the project, with some fees topping $1,000. The new regulations mean homeowners are free to add a second kitchen to an existing part of their home such as a garage, without restrictions based on lot size or having to provide additional parking. This offers a path to legalization for the many homeowners that have already illegally converted their garages into dwellings. Parking requirements have been relaxed. Previous rules called for a dedicated off-street spot, but tandem spots in existing driveways are now allowed. 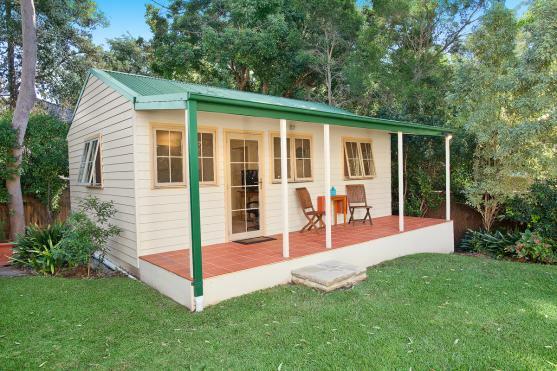 An unobstructed passageway extending from the street to one entrance of the additional dwelling is also no longer required, while the mandated distance that a granny flat must be set back from the boundaries of a property has also been reduced. Municipalities still have the ability to regulate the size of accessory dwelling units. Under the updated guidelines approved by the Los Angeles Planning Commission, the maximum allowed size for detached accessory dwelling units would be either 640 square feet or 50 percent of the total floor area of the main house, excluding garages, up to a maximum of 1,200 square feet, a limit set by state law. Attached granny flats would not be allowed to increase the house’s total floor area by more than 50 percent. While Los Angeles has so far done away with a minimum lot size requirement necessary to build an ancillary unit, other local cities have proposed keeping theirs in place. Pasadena’s minimum lot size stands at 15,000 square feet, Beverly Hills’ at 6,000 square feet, and Santa Monica’s at 4,000 square feet. Mel Wilson, owner of Northridge real estate brokerage Mel Wilson & Associates, said the additional units could eventually help ease the affordable housing crisis in Los Angeles while also providing a windfall to homeowners. But there could be a downside to the new law according to Mario Fonda-Bonardi, an architect and member of the Santa Monica Planning Commission. He said that neighborhoods will get denser, causing single-family-zoned areas, known as R-1 neighborhoods, to lose their exclusivity.